Having your car serviced at your home or work is so convenient. A time is scheduled to suit you and arrangements can be made if you prefer not to be at home for the service. Best of all the rates are up to 50% cheaper than workshops and other large mobile mechanic companies and we don’t upsell so you don’t pay for work you don’t need. All work is guaranteed and is performed by a fully qualified, experienced mechanic. Your car should have the engine oil and filter changed along with several checks and inspections every 10,000km. At each specified kms there are additional replacements, checks and inspections recommended. Please ask for advice if you are unsure which service your car requires. Keep your car in top condition by scheduling regular servicing with A1 Pride Mobile Mechanics. A1 Pride Mobile Mechanics are qualified and industry licensed repairers to perform log book services and service for cars under warranty. Your book will be stamped by our licenced repairer and your warranty is not affected. A common concern for new car buyers is their right to have someone, other than the dealer, service the car without putting warranties at risk. The ACCC says that under the Trade Practices Act dealers cannot limit their warranty obligations or claim the warranty is void if the vehicle is serviced by someone other than the dealer or its agent. The statutory warranty applies to new and second hand cars. 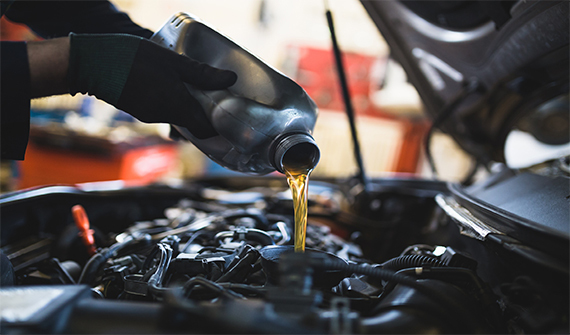 A consumer expects a second hand car to run effectively without repairs although, depending on price and age, it may not be expected to last as long as, or perform to the same standard as a new car. Where a problem arises (other than in servicing) and it is covered by the warranty, the vehicle should be taken to the dealer for repair. *Prices include quality generic parts, 5 litres engine oil, non-platinum spark plugs. SUV & 4WD incur a $100 surcharge for additional oil and labour. Some European makes of car will incur an additional surcharge which will be quoted at the time of booking.